Nasserein. 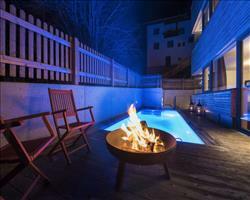 Chalet Monte Vera has a tranquil location yet is within easy access to the skiing. 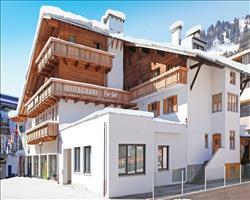 It is a gentle 9 minute walk to the Nasserein lift which takes you up into the heart of the St Anton ski area. Alternatively, the bus stop is opposite the chalet and whisks you to the Nasserein lift in 3 minutes. Nasserein is home to great little bars and restaurants including the famous Tom Dooley’s. Huge bedrooms and luxurious wellness facilities are just some of the features that make Chalet Monte Vera athat little bit special. Every bedroom in the chalet is an extremely spacious suite complete with a seating area, flat screen TV, ample storage space and balcony. The smallest bedroom is 21m² and the largest is a gigantic 26m². If you can tear yourself away from the sanctuary of your bedroom, make sure you take full advantage of the sumptuous wellness area. Beautifully finished in green stone and marble, facilities include a sauna, relaxation area and infra-red room (to soothe your muscles after that mogul black run!). It could easily be mistaken for a Roman spa in a 5 star hotel. The interconnected living and dining area is a chic, contemporary space for you to enjoy each evening after a wonderful day in this world class resort. There is free ski and boot storage for all guests at the local hire shop Intersport, which is situated near the slopes. This is a Signature chalet so you can enjoy extra features including a champagne reception, our specially designed Signature menu and additional luxurious extras – Find out more. 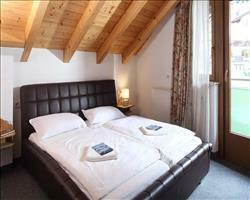 Rooms 1 & 2 deduct £3 pp/pn if extra bed is used by an adult. If the extra bed is used by a child aged 2-11 they pay half the adult full price. 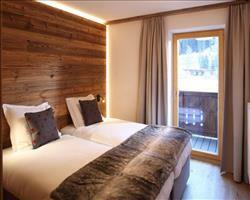 We update Chalet Monte Vera's details often, but facilities do change. e.g. some extras listed by the supplier as "free" or included might only be for the first time you use them, or for one time per party, then charged for further use. If any specific feature is essential to your holiday, make sure you ask us to confirm the details of it before you book your holiday. 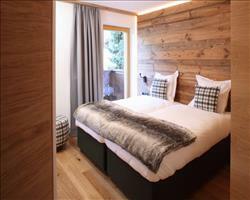 This package holiday to Chalet Monte Vera in St Anton, Austria departs Saturday 11th January 2020, for a 7 night stay on a "catered chalet" board basis. A local tourist tax (Taxe de Sejour or Kurtaxe) is levied by many councils in European ski resorts. It varies by standard and type of accommodation and is age dependent, so not everyone is charged. It's not included in the basic price of your holiday and is usually paid locally. For reference, the average charged in winter 15/16 was between 50p and £2 per person, per night. St Anton lift pass price last reported as €228 (adult 6 day). 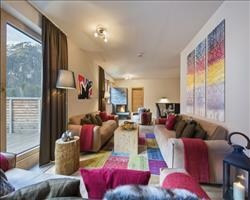 Ask for a quote when booking Chalet Monte Vera. 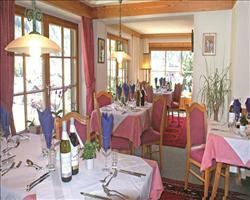 "Phenomenal food and great staff"
The chalet was lovely! The staff and the food were incredible. The chef was trained by Gordon Ramsey! So the food was honestly phenomenal, literally restaurant standard, and plenty of it. I’m not easy to please either. The whole chalet was great, the room was brilliant, the bed was comfortable, the décor was nice, the location was great – my only piece of criticism is that the sauna and steam room were never turned on and so they were never ready to use. This isn’t a huge criticism but it meant that we always had to ask the staff to turn them on and they weren’t ready for hours really. 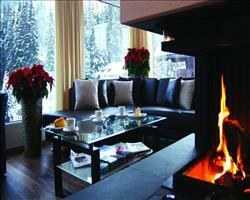 If we went back to St. Anton again we would definitely stay here again. Some people might not like the location, which is in a quieter part of town, but I liked that. There was a ski bus which ran regularly and picked us up from outside the chalet. In the evenings we usually just split a taxi, they aren’t too expensive. It took about 10 minutes tops on the bus to get to the lifts/town. The chalet is very well placed in my opinion. "Group stay @ Monte Vera"
We all thought the Monte Vera was great! The staff were really good chaps who helped us out when we needed it. I couldn’t rate the chef any higher, the food he cooked was amazing and he sorted us out with resort maps, giving us advice on where to go. The living area was really nice… Bedrooms didn’t have anywhere to dry clothes which would have been better, and the temperature wasn’t quite right. The spa stuff was great, it was just a shame there wasn’t a hot tub as they definitely had the room for one. The room would have been perfect with a hot tub but instead they had indoor sun loungers which I didn’t really get. The buses to get around in were a bit confusing at first but when we got the hang of them they were ok.
"OK chalet, a bit far from the centre"
The chalet was fine, it’s a perfectly adequate place. The food was good, they did a great job there and the chef was nice. The location is a fair bit further than insinuated – it really is right out of town and took us a good 15-20 minutes to walk to the centre which was a bit of a pain. Otherwise the chalet staff were perfectly nice. The bedroom was fine in terms of space and storage, but the bathroom was a bit too small and pretty outdated, with a tiny box shower. We had a fantastic holiday, the chalet was lovely, it's right by the bus station so getting to the lifts was not a problem. The staff (Kerry, Thea and Andy) were very welcoming. They were very professional and accommodating when for example the other party of guests in our chalet turned up 45 mins late for supper with no warning! 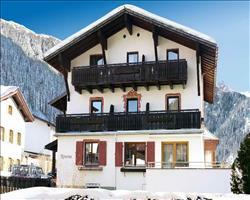 "Jan 2013 full chalet booking"
Great comfortable high quality chalet with fab facilities, right next to the bus stop which makes it so convenient, yet an easy stroll down into the town at night. "Luxury for a fraction of normal cost"
If you want cheap luxury in the top ski resort of Austria, Monte Vera is the place to stay. Less than 10 minutes walk from the piste, the bus can get you to the Nasserin lift (with access to the main piste) in just 3 minutes. The bedrooms and living space are a good size and stylish, and this property masters luxury relaxation, working out any knots in your aching muscles and keeping you fit for the following morning. We'd say that, if you can stay here, then do. NB: be sure to tell us if any of the spa/facilities are essential to your holiday, so we can check before you back whether they will be operating during your stay.